Have you seen what happens when a band or sports team throws a few free t-shirts into the crowd? A brief frenzy may ensue as people try to catch the freebie and all returns to normal a few seconds later when one person comes up victorious. Now take a red hot UK street artist and multiply that scenario by ONE THOUSAND.Â That’s what may happen in London come Friday. Renowned urban contemporary artist Adam Neate announced that he will be dropping 1,000 pieces of his work throughout London for people to find… absolutely free! Sounds amazing, but there’s one catch… most of the art lovers in the UK will most likely be out in force roaming the streets of London to snag a piece of the famous artist’s work. This isn’t the first time that Adam has given his art away for free. In fact, this is actually a signature trait of the selfless artist. Adam has always supported the idea that “street art is intended to a gift. Free and fun for everyone to enjoy.” He’s been known to drop pieces in alleyways and near certain urban art hotspots, yet hasn’t done so for 4 years. Per Adam: “It is nothing to do with the state of the market â€“ it is about putting back in what I got out at the beginning of my career.” Truly a selfless artist, its great to see Adam give back to the art world an estimated Â£1,000,000 of works. All the pieces on Friday will have his signature to help distinguish his works from other works found on the street. More after the jump including video of Neate discussing this event. Best luck to all that are fortunate enough to be in London on Friday. Although it sounds like they will be silkscreen rather than hand-painted pieces. If you are lucky enough to stumble onto more than one Neate, please feel free to return the “found” art work in care to Arrested Motion’s LOST & FOUND. Good hunting! Categories: Art, Contemporary Art, Shows & Events, Street & Urban Art. 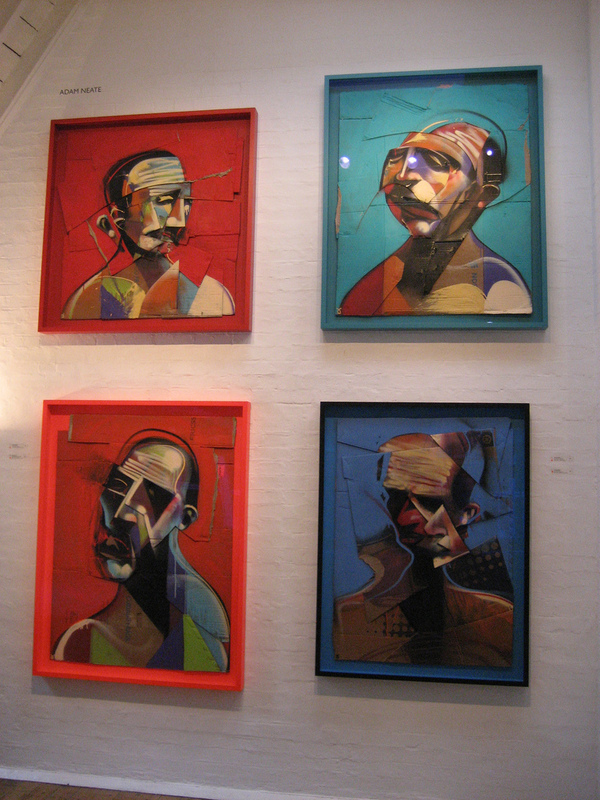 Tags: Adam Neate, Contemporary Art, Street & Urban Art.